London in the summer time is truly something to behold just ask the Red Hot Chilli Peppers and this summer certainly seems to be carrying the flag of Great British Summers. So much so that there just doesn't seem to be enough time to fit everything in during the daylight hours. Now more can be made of your time as the growth of spectacular outdoor pop up cinemas continues steadily and makes the most of the London Summer. No doubt your days were packed but oh oh the summer nights. One of the better outdoor pop up cinemas, not only in terms of: attention to detail, comfort, variety, consistently stunning architectural backdrops for their screenings, entertainment and social consciousness is without doubt - The Nomad Cinema. 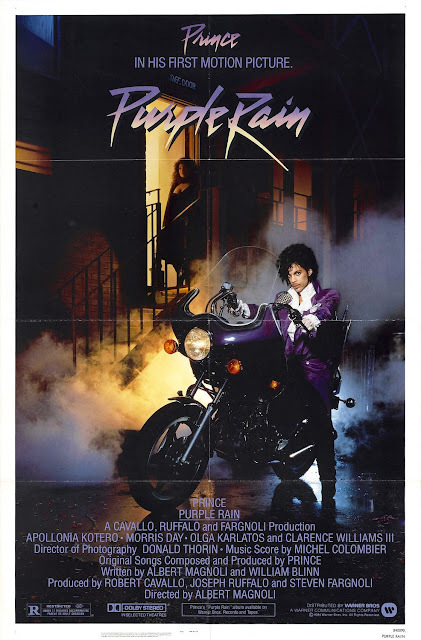 Get ready for Prince's Purple Rain as you have never experienced before! The Nomad Cinema is the roaming pop-up that gives back: since 2010, The Nomad has earned the reputation as ‘London’s best outdoor cinema’ [Evening Standard], popping up at an inspiring range of beautiful, unique and intriguing screening locations across London and beyond. The Nomad is about community: our sister cinema is the acclaimed and much-loved independent boutique cinema The Lexi in Kensal Rise, London NW10. Both cinemas are partly run by dedicated volunteers and have developed partnerships with a diverse range of kindred cultural organisations, ethical companies and fairtrade suppliers. The Nomad Cinema SUMMER 2016 Sizzle Reel from Nomad Cinema on Vimeo. Nomad film events embrace and enhance each venue, offering new ways of experiencing an uplifting range of films, from classics, cult and indie to mainstream guilty pleasures. With its low impact set up, The Nomad wanders into town, unpacks cinema magic, then disappears into the night, leaving no trace. The Nomad is good for you: come to our events and know that you are contributing to a great cause: we give 100% of our profits go to our chosen charity, The Sustainability Institute, in South Africa. The Nomad are lovers of London and its incredible architecture which forms a prominent feature across The Nomad’s season of movie magic under the stars. Audiences are in a unique position to view London in a different light while watching a well-loved film against a stunning backdrop of some of London’s most world-renowned, enigmatic and beautiful buildings; a real chance to admire London’s buildings, both historic and new at the magic hour as the sun sets on the bustling city. With St Paul’s Cathedral the latest addition, this week we’re headed to the National Maritime Museum, one of our grandest sites to date, not only will you be able to enjoy some on screen magic with the beautiful vista of the 400 year old Queen's House behind, but there will also be a performance from leading vocal group, the London Oriana Choir. Last night featured Orlando featuring Tilda Swinton set in decadent 16th Century royalty, with Marie Antoinette tomorrow night. Soak up the urban attraction of the Meantime Brewery this weekend with the home brew on tap as we screen The Breakfast Club. Next week check out more building beauty at Brown Hart Gardens , an oasis in the heart of Mayfair just moments away from the bustling streets off Oxford Street. Here we screen A Streetcar Named Desire, Vertigo and Inception. Then in September the impressive buildings that house the Royal Academy of Arts, which are nearly 250 years old, become home to our Courtyard Cinema at the RA where we screen Taxi Driver, Some Like It Hot , Mulholland Drive and Slumdog Millionaire. The appreciation of London’s architecture of course extends to the newer developments too with the now iconic Wembley arch as the backdrop to our screenings on Olympic Way at Wembley Park. Here we’re showing Slumdog Millionaire and Pulp Fiction. And who can resist the beautifully eerie Brompton Cemetery with its gorgeous 19th century Chapel, and the stunning Colonnades that run parallel from the amazing Catacombs up to the Chapel. On the big screen at the end of the main avenue, amongst the impressive monuments and headstones will be The Night of the Hunter, Psycho and The Birds. ⧫ Magic Carpet upgrades [available strictly for those 18+ - includes alcohol] available at these events. The upgrade will cost an extra £15 on top of the standard ticket price.